a rather empty sandhurst road railway station along the harbour line. 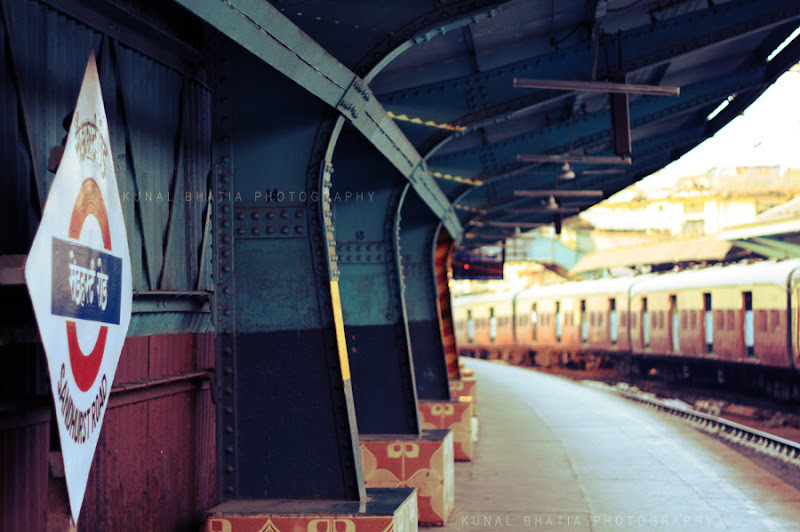 largely built during the turn of the 20th century, many of the railway stations along mumbai's harbour line are interesting pieces of architecture - the line runs above the roads at many places and consequently the stations are elevated. many of them also make extensive use of steel sections and griders which complements the industrial character and feel of the areas around the (former) mumbai docks. i just read the wiki page of this station - "The supporting pillars of the edifice bear the inscription "GIPR 1921 Lutha Iron Works, Glasgow" and consequently remembered that i had posted a photo of one such pillar, way back in 2006. though it's not shot very well, it can be seen here. I like the coloring effects in this one... not often you see a lonely station. Not around here at least! One of my favouriote stations. Lovely.